Are you being kept awake at night by an ominous dripping sound? You may have a leaky sink or bathtub fixture and thus need to learn how to fix a leaky faucet. Having a leaky faucet can be a harrowing experience. Over time you’ll experience higher water bills and maybe even water pooling in your house. Make sure the water supply is turned off. That includes checking both the cold and hot water supply valves to confirm that they’ve been closed. Scrap off any decorations that might be on the handle knobs. With the help of a screw driver, unscrew the screws in each knob. In this case, use the penetrating oil to loosen the screws. This makes it easier for you to remove the faucet from the stem. Using your adjustable C-wrench, untie the packing nut. After that, you will see the stem. Remove it. You should also examine the removed parts for any damages. After the assessment process, and ensuring that everything is intact, conduct a thorough inspection of the O-ring and the washers inside the valve seat. They might be the cause or reason for your water leak. Remove the washer from the seat and replace it with a new one. However, you should be careful when replacing the O-ring and washer to ensure that they’re of the right size. When purchasing a new O-ring, you can take the old one to your local hardware shop to ensure that you have an exact fit. Lastly, reassemble the parts. Start from the O-ring or washer, then the stem, packing nuts, screw and the handle. From here, carefully turn the knob and determine if you have fixed faucet. Leaky faucets can be a nuisance that can escalate into a full-blown problem if appropriate measures aren’t taken. 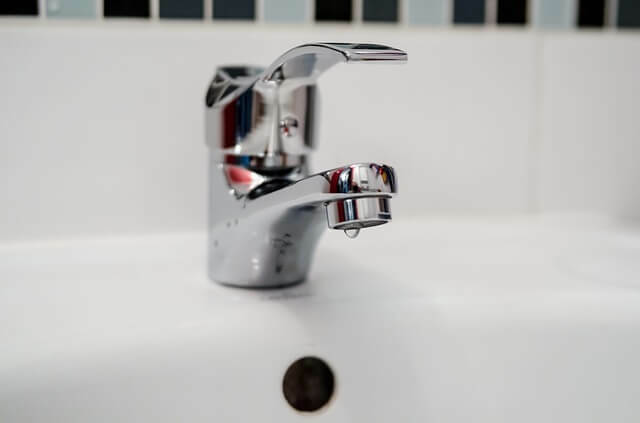 As soon as a leaky faucet is detected, it’s essential for you to fix it to avoid incidences of water pooling under the sink, or even increased water bills. And ideally, you should learn how to fix a leaky faucet before these problems appear in the first place.